Join The Holy Father and hundreds of thousands of young people in July 2022 [actual dates to be advised] coming together from across the globe to deepen their faith, share with one another and meet other inspired youth. World Youth Day will strengthen your understanding and commitment to Christ, the Church and others through study, prayer, worship, and celebration. You and your group need to be a part of this wonderful event. After a magnificent World Youth Day 2019 in Panama City there is much excitement and anticipation for World Youth Day 2022 in Lisbon-a beautiful city, capital of a beautiful country with a rich history of the Catholic faith. 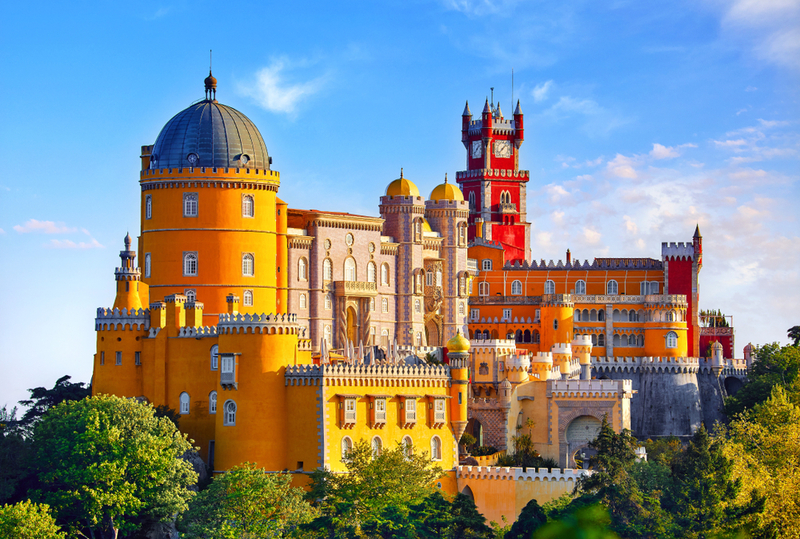 Lisbon will captivate you from the moment you lay your eyes on the city's rich history, historic buildings and wonderful neighborhoods. Throughout your entire visit you will be amazed at how safe and friendly this city is as well. Since the beginning of World Youth Day in 1986, it has been held in cities across the world such as Buenos Aires, Paris, Toronto, Rome and most recently Panama City. Throughout the past 30 years of World Youth Day, tens-of-millions of youth across the globe have come together to pray, worship and celebrate their love for Christ. "My dear young people, at the conclusion of the Holy Year, I entrust to you the sign of this Jubilee Year: the Cross of Christ! Carry it throughout the world as a symbol of Christ's love for humanity, and proclaim to everyone that it is only in Christ, who died and rose from the dead, that salvation and redemption are to be found." Since 1957, Unitours has led Catholic pilgrimages across the world to countries such as Italy, Israel and the Holy Land, Spain and France. While the countries in which we provide our tours are wide in variety, the quality and comfort of Unitours pilgrimages stays consistent throughout each location. Our experienced team will help you find the perfect pilgrimage or tour for you and your group, or help you create a customized tour for your group based on your specific requests. Attraction entrance fees included in tour package pricing. (WYD Registration not included). Professional and knowledgeable tour managers who meet you at the hotel and are with you every step of your journey. Booking a pilgrimage with Unitours can help you get the most out of your trip. We handle all of the planning and administrative aspects of your trip so you can spend more time focusing on experiencing this life changing event. Dates for World Youth Day Lisbon 2022 have not been announced yet. If you would like to receive more information including detailed itineraries and rates. Fill out the form below to be one of the first to know.